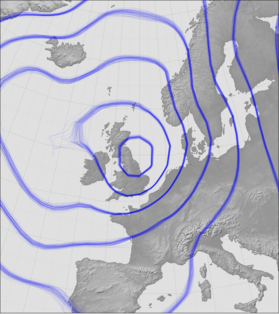 This package is currently maintained by Philip Brohan (philip.brohan @ metoffice.gov.uk). All criticism should be directed to him - put please don’t send email, raise an issue instead. This package was originally written by Philip Brohan (Met Office). He was funded by the Joint DECC and Defra Integrated Climate Programme, DECC/Defra (GA01101). Builds upon, and was inspired by, SciTools. Has a partner package in IRData - which gets the data to be plotted. I stole the name from Francis Galton.